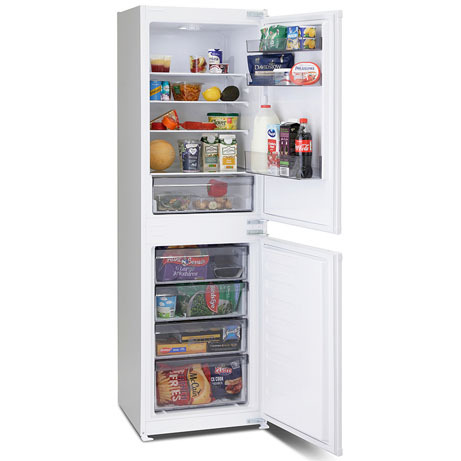 This Montpellier Integrated Fridge Freezer will fit seamlessly into most kitchens. Built in behind your already existing cupboard doors this model comes with all you need to ensure a modern flawless finish, consistent with your kitchen. 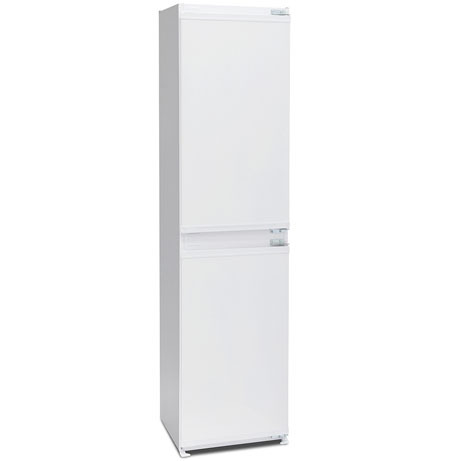 This Montpellier Fridge Freezer is an integrated static fridge freezer with a 163litre fridge cavity and a 102Ltr freezer capacity. 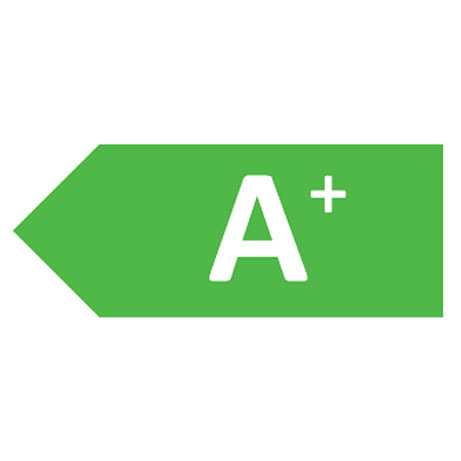 With a 50/50 split, it combines two appliances in one. 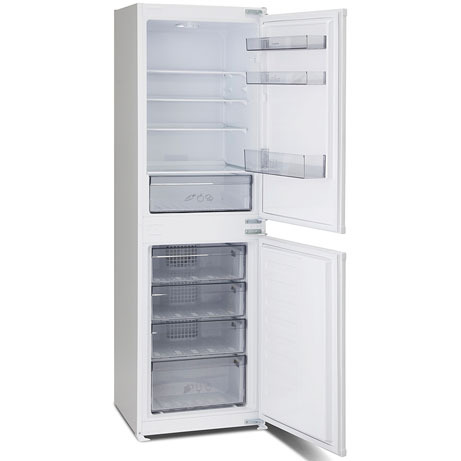 The fridge offers 3 glass shelves, a salad crisper drawer and cover. There is an internal light and the door gives you further tall bottle storage and compartments for those small items.